Recently, my mother needed a lawyer to help end her second marriage. But with no savings and an income that barely covers her expenses, she couldn’t afford the retainer. So, I met with her at a lawyer’s office, without her asking, to swipe my debit card for the $2,000 expense. “Thanks for doing that,” she said. “Of course,” I answered, and I meant it. 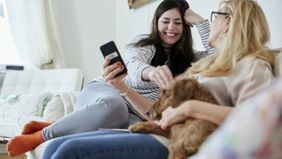 Unexpected expenses like this aren’t that unusual when it comes to my parents or my husband’s parents, and we know they’ll only become more common in the years to come. Three of our four parents are self-employed, live mostly paycheck-to-paycheck and haven’t saved for retirement. So as my family grows and plans for our future, we’re taking extra steps to make sure we’re prepared to support our parents financially — while still protecting our children's and our own financial futures. Here’s what we’re doing. At 55, my dad is already dependent on others to support him financially due to chronic mental illness. He hasn’t worked in more than a decade, and the bulk of his social security disability income covers his cost of living in a group home. For everything else, he relies on his children and siblings. However, it’s my obligation to make sure that reliance isn’t negatively impacting my own financial stability. That’s important for me to remember, since my dad’s situation is undeniably sad. When he calls and asks me to send him a pizza, my first instinct is to immediately oblige. But, those expenses add up. And when he started calling almost daily for a delivery, I knew we needed to establish some boundaries. To keep our own finances on track, my husband and I sat down to discuss how much we’re willing to spend on my dad, and clearly establish with him what we are — and aren’t — willing to do. Having a set budget can help people stick to those boundaries, Daugherty says. “Then you can confidently say, ‘I cant do that because those dollars are already committed,’” and explain what you are willing or able to do instead. Saying no can be awkward, but I suspect discussing pizza delivery expectations is good practice for the more intense financial discussions we’ll need to have with our parents down the road. My husband and I are currently looking for a house that we can live in for the next 10 to 20 years, and that involves thinking about who might be living with us. While an in-law suite isn’t a necessity at this point, we’re looking at properties that would allow for an extension or small house to be built if a parent (or two) needs to live with us in the future. According to Daugherty, 60 percent of our income should be spent on essentials (like housing, transportation and food); 20 percent on discretionary spending (which might include family indulgences, like my dad’s pizzas); and 20 percent should be dedicated to savings. While my husband and I hunt for a house that might be able to accommodate our parents in the future, it’s important not to stretch our budget today, she explains. Instead, Daugherty advises taking time while we’re young and have relatively low expenses to put ourselves in the best financial situation possible, which will better enable us to help our parents in the future. 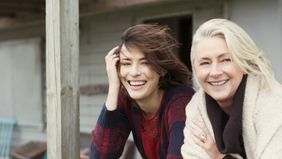 If our parents are in need of our financial help as they age, we want to be able to offer it, and that’s something we keep in mind when making major decisions like what jobs to take, where to live and how to manage our money today. Every parent hopes that their children will learn from their mistakes, and my husband and I plan to do just that. While I am also self-employed, I don’t let the day-to-day expenses we have stand in the way of saving for the future. I make sure to put 5 percent of my gross freelance income into a retirement account, while my husband works toward his pension. 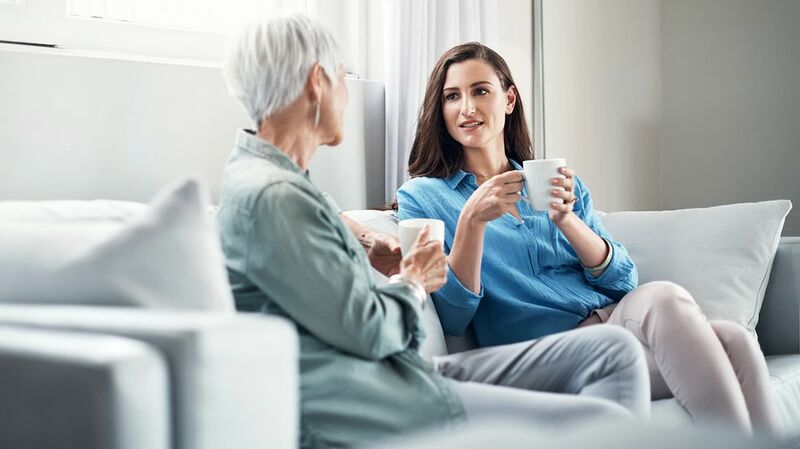 At 28, it can be tempting to use that money for other, more immediate financial goals like paying down debt and saving for a down payment, but my parents' experiences have shown me how important thinking ahead is. Daugherty points out that while retirement is critical, it’s also pressing that we save for an emergency fund, aiming for three months’ worth of expenses. “The emergency fund keeps you from having to draw on all the great stuff that you’re building,” she says. Having money saved for the short term and the long term means knowing that whatever happens, my husband and I will have options — and we’ll hopefully have the ability to work less and spend more time with our future grandkids. The author of this article has requested anonymity to protect her parent's identity.